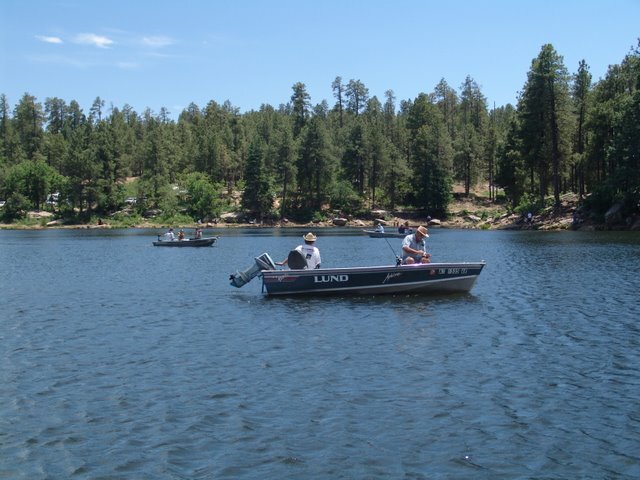 The Woods Canyon Group Campground can accommodate up to 70 campers comfortably and up to a maximum of 100 people and 30 vehicles. 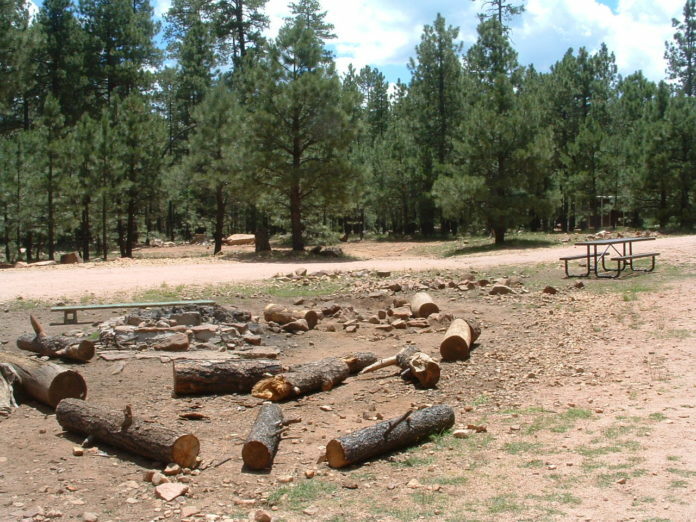 13 campsites surround a central community picnic/gathering area. 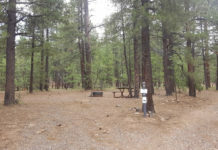 This campsite is centrally located between the other campgrounds at the Woods Canyon Recreation Area and can handle large groups with ease. 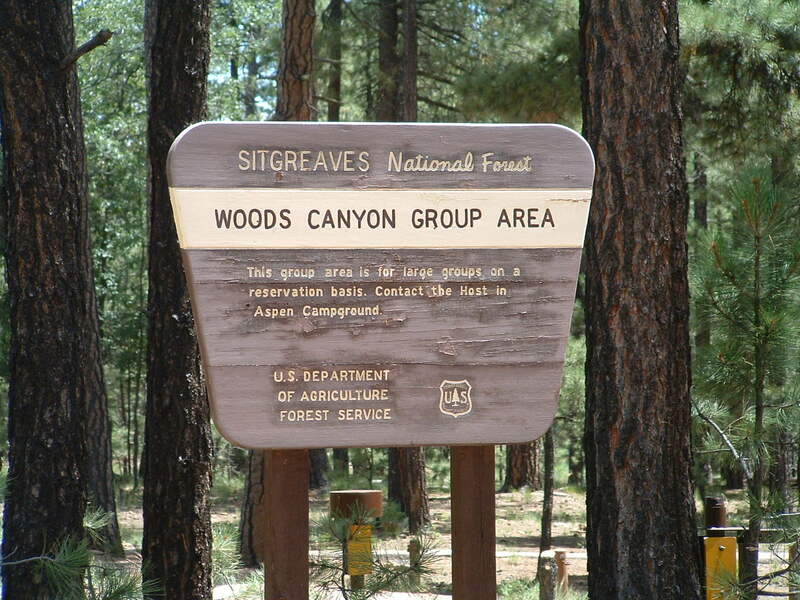 The Woods Canyon Group campground is just 1/4 mile south of nearby Aspen Campground. Other nearby campgrounds include Crook Group, Spillway, Spillway Group, Rim and Mogollon. 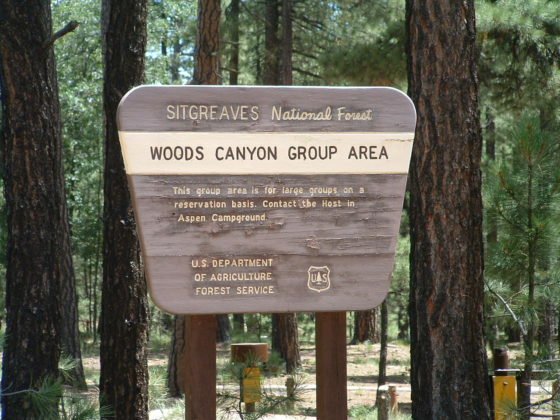 Woods Canyon Group Campground is by reservation only. The central picnic area has about 10 picnic tables (See map below) but if you want to have shade over the tables, you will need to bring it. There are a couple large grills next to the picnic area. 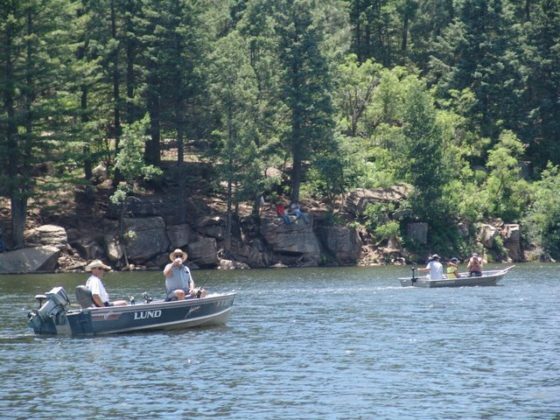 Woods Canyon Lake, the most popular camping area in the entire state, has much to offer. 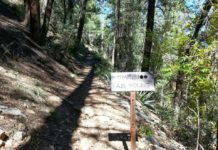 Virtually every amenity is either available on site or within a few miles. 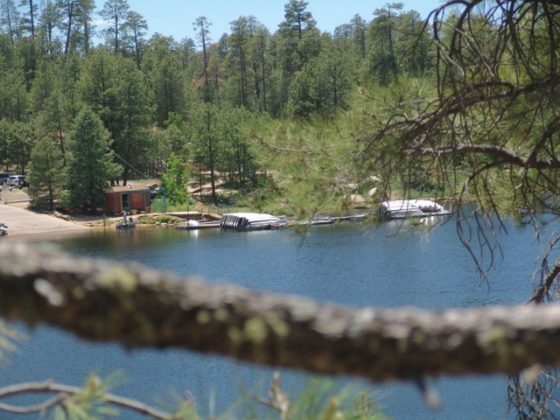 From Payson, travel east on U.S. 260 until you reach the top of the Mogollon Rim at the Rim Visitors Center and turn left on F. R. 300 (Rim Road). 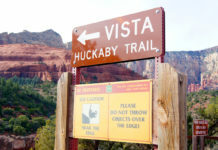 Travel west on Rim Road 3.4 miles to the Rec. 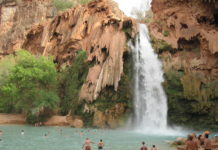 Area entrance. 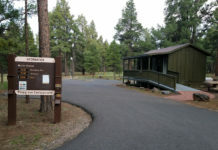 Turn right at the entrance and travel 1.25 miles to the campground on the right. 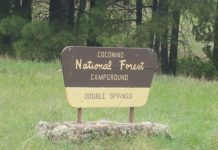 Don’t forget to stop by the scenic stops along Rim Road for spectacular views of the Mogollon Rim and the valley below.